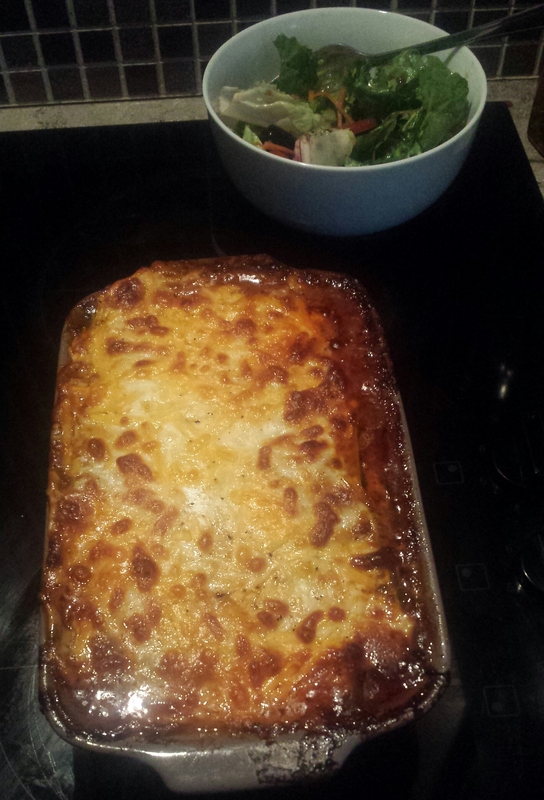 Anybody who knows me knows that I am obsessed with lasagna (and apple tart, doubt there is a low carb option for that). For the past few weeks I have been sticking to a relatively low carb diet with the odd cheat meals at the weekend, and I have to admit I feel great! Tomato puree and cheated with a bologanese pasta sauce. I cooked this and left it to simmer for about 20mins or so. 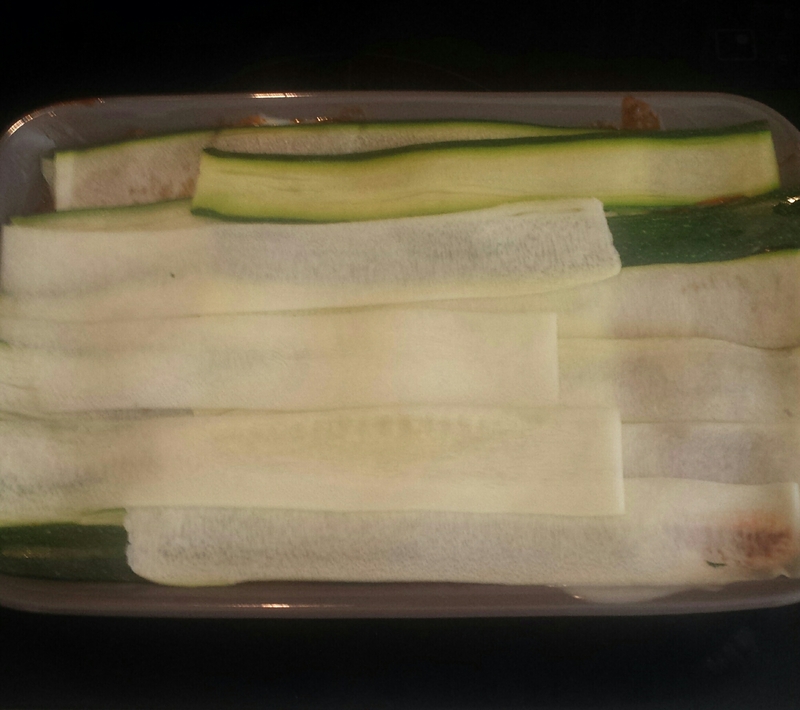 I used a courgette to replace the pasta. I made enough for 2/3 people and one courgette was loads. 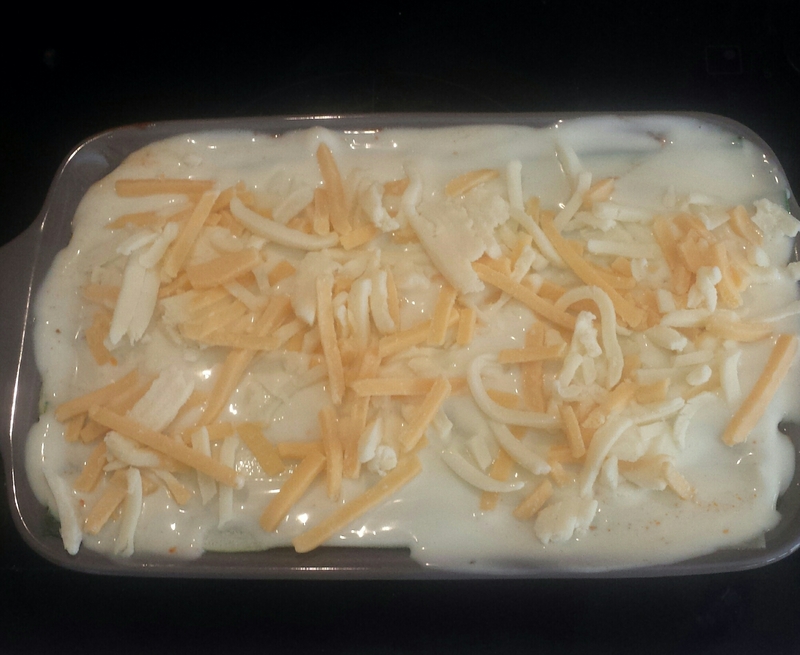 I just kept layering as normal and put some white cheese sauce and cheese on top. And popped into the oven for about 40mins and the end result was amazing!